This campaign consists of is a series of volunteer opportunities that we or an outside organization provides for kids and adults of all ages. 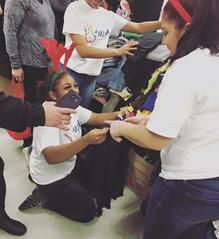 The Helping Hand Campaign predominately aids students in school who are need of service hours, but the opportunity is not restricted from anyone. The My Life Movement would like to personally thank you for making our 3rd Annual "Coating the Community" coat drive possible. Because of you 60 preschoolers received brand new coats for this cold winter season. Furthermore, not only did we meet our goal of $1200 but we surpassed it, raising a total of $1600. We were able to get hats, scarves, reusable gift bags, and extra goodies to go inside their bags. Thank you, on behalf of myself and the My Life Movement Team! Nov 19, 2016- The My Life Movement Volunteered at the Aids Resource Foundation of Newark, NJ for their "Pretty in Pink and Handsome in Blue" event. Our volunteers assisted with games, crafts, and lunch for 12 plus kids to celebrate the children for "just being them." 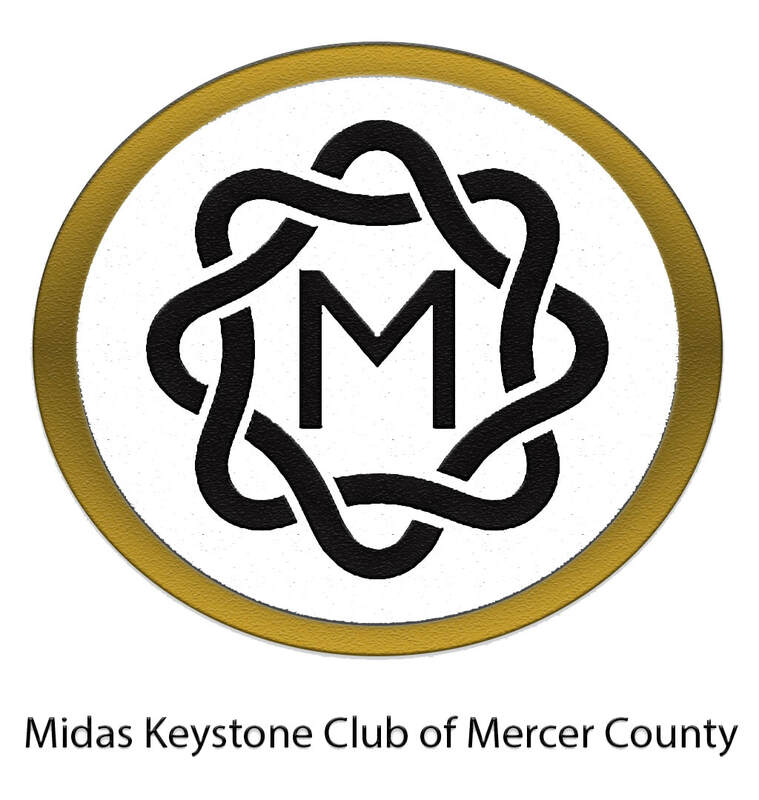 Dec 19, 2015 - The "Coating the Community" Coat Drive hosted by My Life Movement and The Midas Keystone Club Of Mercer County was a success! We had an amazing 14 student's sign up along with their donor (who we thank very) much, who received a coat On that Saturday Morning. We accepted new coats and monetary donations from Nov. 27-Dec.14,2015. Later on in the month Saturday, December 19, 2015, to be exact from 10:30am-1:00 pm at The Boys and Girls Club we handed out 9 of the 14 coats to students of the City of Trenton. However, the rest of the coats were delivered to the remaining students. 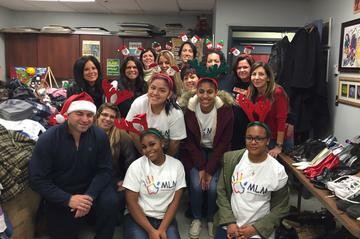 December 8, 2015 The My Life Movement had the honor of kicking off their Helping Hand Campaign by helping the McCorriston Alumni with the Iron Mike Annual Holiday Clothing Drive at the Trenton Area Soup Kitchen. February 19,2015 Last year on April 16th Mayor Eric Jackson of Trenton, NJ launched a new community initiative by creating the Coordinated Entry & Assessment Services Center. In addition to the help of all community based nonprofits of Trenton; their purpose being to house the homeless of Trenton. With that said, in January of 2016 the CEAS reached out to partner with the non-profit Dawn of Hope for a community collection of hygienic products. Dawn of Hope is a youth group geared towards youth and young adults of the female gender, they are known for a variety of things ranging from: mentorship, etiquette, empowerment, enrichment, and community service.The collection process would be from January 12-February 19th, although they were up for the task, with such limited time Dawn of Hope needed some help with collections. For that reason, Dawn of hope extended an invitation to Trenton’s My Life Movement’s (MLM) community based organization. 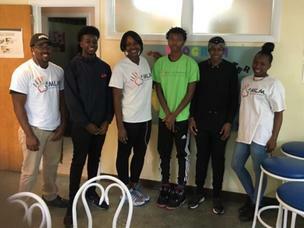 The MLM, is known for their numerous community service project due to the Helping Hand campaign initiative; which allows them to call upon all of Trenton’s youth in need of service hours or just willing to help, to come together and help out and give back. 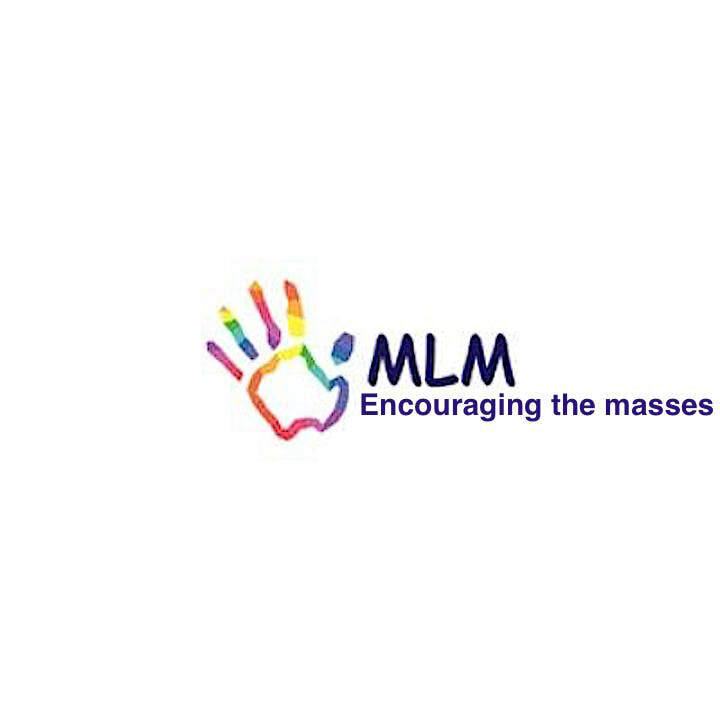 In addition to the MLM joining, the Latinas in motion, an international running organization of Latina women also extended their services in allowing donations to be dropped of their location. Furthermore, on February 19, there was great service in the House of the Lord being done. 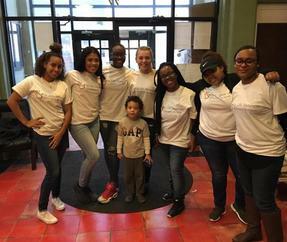 At the corner of Spring and Calhoun St, at the Shiloh Baptist Church of Trenton, NJ a total of 20 volunteers joined forces to assemble hope kits for the homeless. With a blessing of over 250 donations, a total of 93 kits were created for the serve homeless of the city. My Life Movement encourages every resident of Trenton to come and help out! If interested we ask that you email us or call us for details on upcoming projects where your assistance is needed. Just bring yourself, wear some jeans, and an MLM T-shirt will be provided. November 19,2015 My Life Movement had a wonderful turn out with our coat donations. A total of 36 coats were given by various donors for the families of the Home Front community. We want to first thank all of our donors and thank our Volunteers for coming out to help those in need. We are looking forward to our next coat drive in December please refer information above for more details. Thank you! 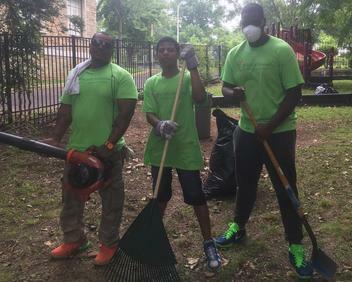 ​Top Photo- The My Life Movement partook in Serve Our City Day sponsored the Kingdom Church of Ewing, NJ, by helping out at the Young Scholars Institute of Trenton, NJ. Bottom Photo- Another group of volunteers who who were stationed at the Anchor house of Trenton, NJ. 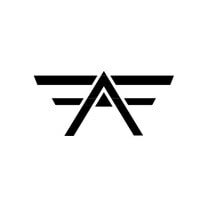 Dec 16, 2016- For our 2016 " Coating the Community" Coat drive the My Life Movement partnered with Team Fan Favorite. "Fan Favorite is geared towards basketball and promoting a lifestyle of ambition and determination." Together, we gifted 56 third grade students of the PJ Hill elementary school in Trenton, NJ. After many months of searching, both MLM and FF collected more than 35 donors who gave a coat or monetary donation. 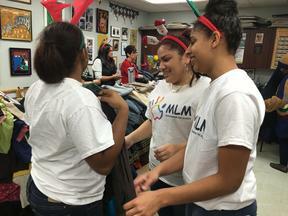 However, we not only gave the student coats, but we also hosted a three-hour Christmas party to kick their holidays off right. The children decorated cookies, listened to a reading and played a few basketball games with Team Fan Favorite's Lakeisha Sutton. For the last hour of the coat Drive Lakeisha spoke to the students about her journey as the "Fan Favorite" starting from her time as a player at P.J. Hill Elementary to the University of South Carolina to become an International Professional Basketball player. She ended her speech by reminding the students to follow their dreams (#weallneedweallwegot). "If anyone ever tells you that your dream is IMPOSSIBLE, tell them NO, I'M POSSIBLE!"